The new design of the iPhone 8 has been doing rounds for more than a few months. However, till now the leaks mentioned a fingerprint scanner embedded in the display. But, KGI Securities analyst Ming-Chi Kuo released a note to investors that mentions several details for the upcoming iPhone expected to launch in September. Here is a full list of expected changes mentioned in the note. Apple will roll out three iPhone models in 2017; the new iPhone 8 with an OLED display & revisions of the LCD models including 4.7” display & 5.5” display. OLED iPhone will adopt full-screen design, with the “highest screen-to-body ratio of any smartphone currently available worldwide”, the OLED model will also come with a virtual Home button, though the button will not support fingerprint recognition. OLED iPhone will support 3D sensing for facial recognition & improved selfie quality. This will be used to replace the TouchID and hence used to unlock phones and make payments. OLED iPhone & 5.5” LCD iPhone will both come with DRAM capacity of 3GB (for dual-camera setup), while 4.7” version will only use 2GB DRAM (for single camera). Three new models will all come with 64GB and 256GB storage options. All three new models will have a Lightning port but will have an embedded USB-C power delivery chip for higher charging speeds, which would be not possible through the existing charger. The charger shipping in the box will be a 5W charger, so fast charging hardware will be sold separately. The output power of the receiver & speaker of OLED iPhone will be more consistent to create better stereo effects. 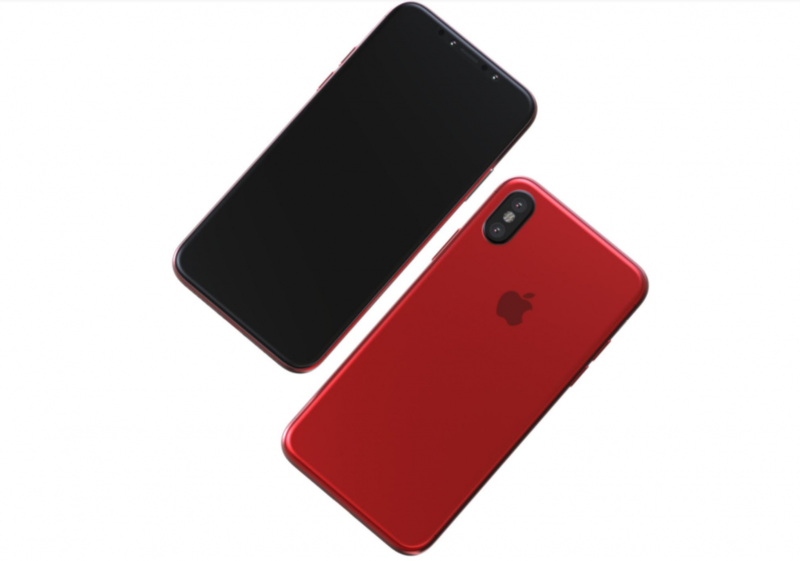 The OLED version will offer fewer options for casing colors than LCD iPhone models, restricted in the early launch phase to special colors. October-November & August-September as production ramp-up schedules of OLED iPhone & LCD iPhone, respectively. For optimized promotional effect, we think Apple may unveil the three models simultaneously in September, though the launch date of the OLED version may trail that of LCD models, and supply tightness may not improve before 1H18. All three new models for the 2017 launch will be 80-85 million units, with an equal split between OLED & LCD versions. As Apple expects higher demand for the OLED iPhone.